Measuring 190cm, Wolverhampton Wanderers'' average player height surpasses Romain Saiss by 8cm. Born on March 26, 1990, Romain Saiss's age of 29 exceeds his team's mean. In terms of preferred feet, he is a right footer, like 71% of Wolverhampton Wanderers. He is currently first in Uhrencup and eighth in Premier League (United Kingdom) with his team Wolverhampton Wanderers. Romain Saiss played 25 matches this season. 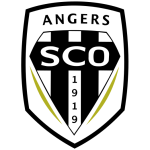 His shortest spell with a club was 13 months in SCO Angers (France). As for winning percentages, he won with Wolverhampton Wanderers simply 0% of their home matches (100% in total) in Uhrencup and 80% of their home matches (40% in total) in Premier League. Wolverhampton Wanderers enjoys a 2-game winning streak during the last 2 games of the current season. Weighing 167.55lb, Romain Saiss measures 1lb more than the average player on Wolverhampton Wanderers. From his professional start until now, he has performed in 249 matches in total and hindermost appeared six days ago. On average, he has participated in 12.5 matches per season. 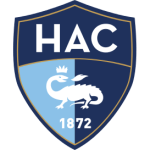 He managed to attract a lot of good feedback after his performance at SCO Angers, the team he was subjected to before joining Wolverhampton Wanderers. 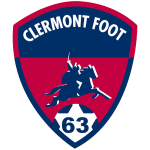 Ever since Romain Saiss became a professional, he has been committed to overall five clubs. 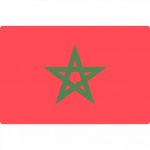 Besides playing for Wolverhampton Wanderers, Romain Saiss additionally is a member of Morocco. Championship 17/18 (United Kingdom) has been his best season so far since he reached both his personal highest amount of goals and played matches. With each day at Wolverhampton Wanderers, he is extending his personal record stay with a club which counts two years and 9 months for the time being. On the whole, Romain Saiss joined the pitch 29 times and left it 37 times after the start of the match. In the present term, he played less games from match start. He received the number 27 tricot at Wolverhampton Wanderers. To date, collectively he holds 68 penalties. Lately, he seems to be more quiet since less penalties were given to him than usually. This season Romain Saiss scored two and assisted no goals which is 4.9% of all of Wolverhampton Wanderers's goals in Premier League 18/19 (United Kingdom). On average, he hit the net 0.08 times per match this season which is a worse performance than last year's. Back then 0.1 goals and 0 assists per match have been achieved. 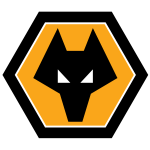 Apart from Romain Saiss, Max Kilman, Jonny Castro, Cameron John, Conor Coady, Ryan Bennett, Leander Dendoncker, Ruben Vinagre, Matt Doherty and Willy Boly are also defenders of Wolverhampton Wanderers.